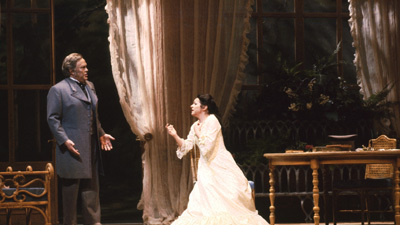 Latvian soprano Marina Rebeka gives a breakout performance as Verdi’s doomed courtesan Violetta. She stars opposite Stephen Costello as Alfredo, the young man whose love leads her to abandon her restless life. But the demands of Alfredo’s father, Giorgio Germont (Quinn Kelsey), destroy the pair’s happiness—and ultimately lead to tragedy. 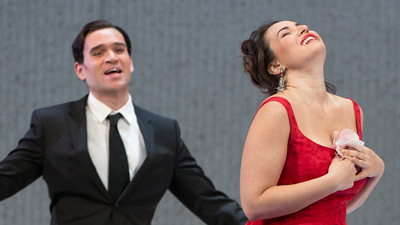 Marco Armiliato conducts one of opera’s most beloved scores.